“Grammie, who are the people in that picture frame?” my ten-year-old granddaughter, Katelyn, asked as she and her seven-year-old sister climbed into sleeping bags to spend the night in the loft at our house. Katelyn’s mother, my daughter, never knew her grandfather—my dad. My father was a California highway patrolman shot in the line of duty when I was ten years old—the same age as Katelyn. I had told my daughter the story of her grandfather’s bravery, and she told the story to her daughter, and that’s how family stories stay alive long after the heroes of the stories are gone. I’m sure my granddaughters will want to hear the story of their great-grandfather many more times, and their mom and I will eagerly tell them about their family history. No matter how old we get, we still enjoy hearing stories of things we did as kids, or about funny stories on family trips, or some of the stories of hardships and joys our family has encountered over the years. These stories bond us together with camaraderie and shared history. We tell these stories repeatedly at family reunions, around campfires, during celebrations, reminiscing at funerals and memorials, and at bedtime as the activities of the day quiet down to a peaceful reminiscent time before the enveloping of sweet sleep. But it only takes one generation neglecting to pass down a heritage to the next generation for a way of life, family history, or a belief system to vanish. That chilling fact underlines the magnitude of our responsibility as parents and grandparents to share family, and Bible stories with our children, grandchildren, and great grandchildren, and for them to do the same: “One generation commends your works to another; they tell of your mighty acts” (Psalm 145:4). God specifically and repeatedly tells his people to pass down to future generations all the awesome wonders they saw him do because the younger generations weren’t there. New generations don’t know God in the same personal, experiential sense as their parents and grandparents, “Remember today that your children were not the ones who saw and experienced the discipline of the Lord your God: his majesty, his mighty hand, his outstretched arm” (Deut. 11:2). Kids you wouldn’t believe it! The Egyptians took out after us in their chariots and horses and we ran as fast as we could for days to escape them. But we all came to a screeching halt on the shores of the Red Sea. Trapped between the Red Sea and the soldiers, we thought we were goners for sure. We were terrified… screaming and crying. But then, a miracle happened! God put a cloud between the soldiers and us, and Moses raised his staff over the sea and it parted right down the middle. I mean there was a dry path all the way to the other side! The kids are oohing, aweing, wowing, and begging to hear more. Yes, sir, great grandpa chimes in. We thought we were dead for sure, but the next thing you know we were all walking on dry ground to the other shore. When the last person stepped on the other side, the cloud lifted and the soldiers couldn’t believe what they saw. So they thought they’d be smart and just follow us. We watched in awe as their horses started getting confused and bucking them off. And when they were all in the middle... the sea closed up over them right before our eyes! I tell you kids it was a miracle like none other. God saved us and we were all free! We were cheering, singing, and on our knees praising God for his amazing goodness to us. Be sure to tell your children and your children’s children about our incredible legacy. The Bible is a resounding call to remember God’s goodness throughout all generations. It’s a recorded history of our Christian faith reminding us what we believe and why we believe it. Thanks to the saints who have gone before us, you and I have the privilege of reading the same Scriptures and biblical accounts our ancestors read. Now, it’s our job to ensure that God’s unchanging Word prevails and reigns through future generations. We need to pass on the hope we have in Christ by equipping the next generation to read and understand the Bible and accept Jesus as their personal Savior. The Bible is a thread that intertwines us with previous generations who didn’t have radios, television, smartphones, computers, SKYPE, Google Hangout, tablets, or even electricity. They heard Bible stories told to them or read the Bible by the fire or candlelight, the same Bible you and I read today. No other book in history has traversed the centuries, crossed cultures, and still enjoys worldwide renown—even people who don’t believe in God acknowledge the Bible is a historical book. 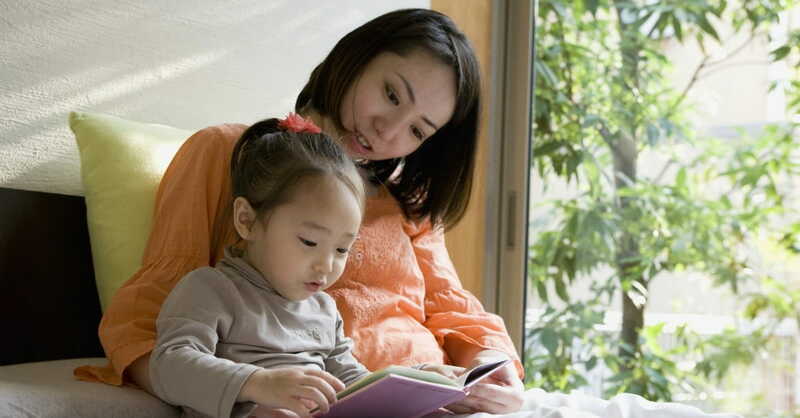 Storytelling, both from the Bible and our personal experiences, is a great way to engage children of all ages, who are usually most receptive as they quiet down for bed. Someday we’ll all just be a memory, but let’s make sure that memory is a good one. Steve Green wrote a song with the chorus, “Oh may all who come behind us find us faithful.” In your sphere of influence, starting with your own family and church family, tell them all you’ve seen God do and His unchanging truths. Influence the next generations to love and obey God with born-again, Holy Spirit filled hearts. I pray my legacy to my grown children and grandchildren will be—Mom/Grammie was a woman who loved Jesus and lived what she believed, as they remember how we shared stories and prayers at bedtime. Contains excerpts from Forsaken God? : Remembering the Goodness of God Our Culture Has Forgotten. Janet Thompson is an international speaker, freelance editor, and an award-winning author of 18 books including new release, Forsaken God? : Remembering the Goodness of God Our Culture Has Forgotten and Praying for Your Prodigal Daughter. She is also the founder of Woman to Woman Mentoring and About His Work Ministries. Visit Janet at: womantowomanmentoring.com.